Here's a little pouch for you to tuck your treasures inside. 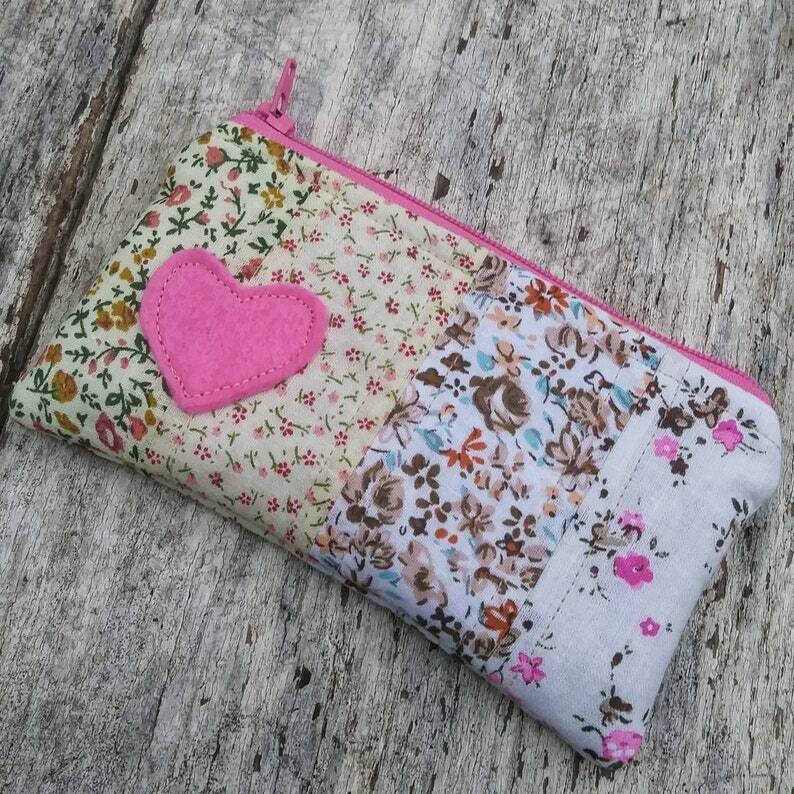 The front of the pouch is a patchwork of for small floral prints decorated with a pink wool felt heart. The pouch measures approximately 3 inches by 6 inches. Just the right size to tuck a few small goodies into your purse. It will hold your id and credit or store loyalty cards. Would be a really cute gift card holder! Pouches can easily tuck into any other order and will ship for no additional cost if purchased with another item. All items ship from our smoke-free home. I'm just here for the cake! Embroidered polka dot square zipper pouch.